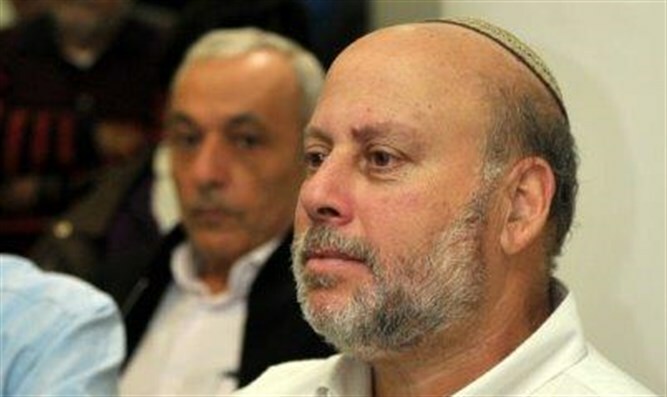 The Palestinian Authority’s grip on Judea and Samaria is weakening, with its disintegration a distinct possibility. A possible solution. Not long ago, the head of the Palestinian Authority (PA), Mahmoud Abbas, spoke at the UN General Assembly, basing his remarks on three basic Palestinian beliefs that reflect the PA's inability to be partners towards a peaceful solution with Israel. Abbas, spoke of the Palestinian Arab refusal to recognize Israel’s right to exist as the Homeland of the Jewish People, he refused to end the PA’s incitement to commit terror against Jews, and reaffirmed the so-called “right of return” which means nothing less than the end of Israel as a Jewish State. The PA chairman's remarks concerned only the Jewish State, but back home in the Middle East, Mahmoud Abbas’s greatest threat is not Israel, not Israel’s military presence in Judea and Samaria ('West Bank'), and not even the so called “settlements”. Abbas’s number one existential threat is that the Palestinian Authority’s grip on Judea and Samaria is weakening, with growing political instability across the region and the Hamas terror organization breathing down his political neck. Pinhas Inbari, a researcher at the Jerusalem Center for Public Affairs has painted a grim picture of the growing dislike and the loss of widespread support of the PA by the local Arab population. 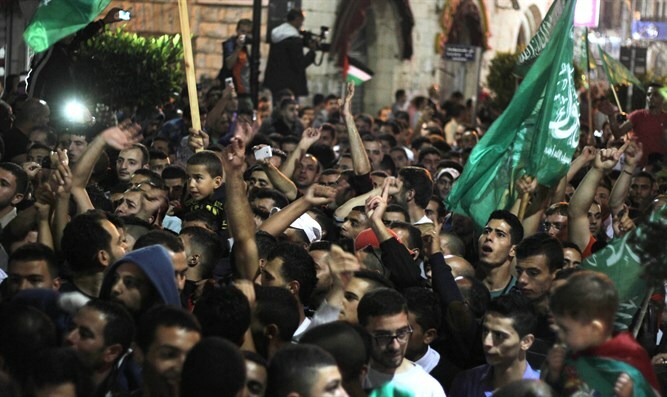 In Nablus, Fatah terrorist cells are in open rebellion against PA security forces. Since August 18, Fatah cells have repeatedly engaged PA forces in lethal exchanges, and according to Inbari, the town is now in a state of “total anarchy.” In Hevron, tribal leaders, more or less dormant for the past 20 years, are regenerating a tribal alliance as a means of bypassing the PA, which no longer represents them. Their first major action to date was to send a delegation of tribal leaders to meet with King Abdullah of Jordan. Even in Ramallah, the seat of Abbas’s power, the PA is losing ground to EU-funded NGOs that seek to limit the PA’s economic control over the groups and their operations. While the Palestinian Authority verges on the brink of total chaos, President Obama used his meeting this week with Prime Minister Netanyahu to defiantly ignore the Palestinian Arab refusal to negotiate with Israel, and instead proposed the worn out and obsolete formula known as the two-state solution, for reviving negotiations. As usual Obama clearly avoids blaming the Arabs, while at the same time demands of Israel to agree to a high-risk territorial compromise without simultaneously making it crystal clear that there will be no "right of return" for Palestinian Arab third and fourth generation "refugees." If we imagine a future Palestinian Arab state, it will have to forcibly integrate competing clans and tribes, so what are we really talking about? The idea of a "right of return" is as we all know unique to the Israel-Palestinian Arab conflict; no other people in the world other than the Palestinian Arabs have demanded the "right to return." Keep in mind that hundreds of thousands of Arabs who came to Israel from all over the Middle East prior to the 1948 war and had lived here for as little as a year before the War of Independence broke out (when Arabs attacked the fledgling Jewish state) are demanding the "right of return". These Arabs were foreign workers in Palestine before 1948 with no prior residential status. Many of them carry names like "El Iraqi" ("from Iraq") or El Masri ("from Egypt") or "El Hourani" ("from the Houran, Syria"), which testify that they are originally not from Palestine but that they came from: Iraq, Egypt, and Syria. Today, they certainly don’t want to return to those places. They would rather live in Israel – a democratic state that honors human rights, religious freedom, and a robust and free economy. Why go back to Syria where they shoot you in the street for whistling, while in Israel, a Palestinian Arab’s complaint of being detained for 5 minutes at a security checkpoint is considered a major violation of international law. If we imagine a future Palestinian Arab state, it will have to forcibly integrate competing clans and tribes, so what are we really talking about? Those of us who live in Israel know that Arabs who live in Hevron, Jericho and Shechem (Nablus), never ever marry one another, let alone see themelves as one united nation. If they will be forcibly incorporated into one Palestinian Arab state, the result will be just another Arab state in perpetual conflict with itself blaming Israel for all of their internal problems. Approaching fast is the day when the Palestinian Authority we have known for the past 22 years will cease to exist. The Oslo Agreement that begat the fiction of the two-state solution is about to be shattered once and for all. The only relevant question today, is what does Israel intend to do next?